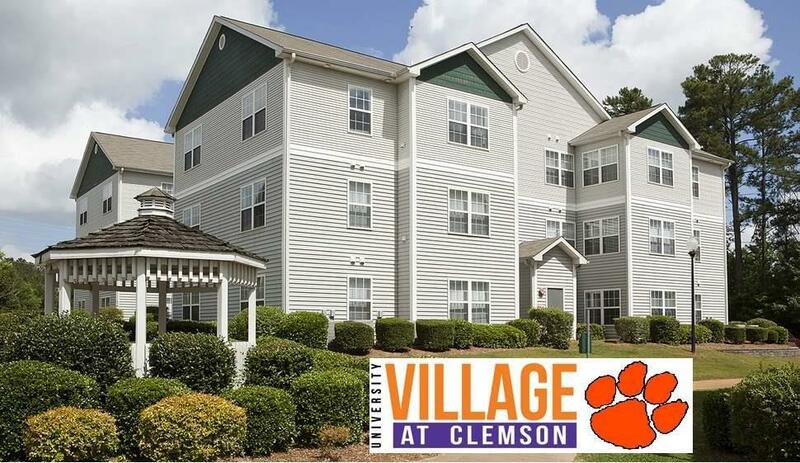 UNIVERSITY VILLAGE Great Opportunity For Investors Or Parents Of College Students. Rental Amount $1532/month; Lease Dates till July 27, 2019. College style Condo with four bedrooms and four private baths. Open living room, kitchen with breakfast bar, and laundry. Amenities include Pool, Club House, Gym, Sand Volleyball, Basketball, and Rec Room. Many activities hosted by property management. Property located between Clemson and Central on the CAT BUS Route and within an easy drive to Clemson University, Southern Wesleyan University and Tri-County Technical College. This condo was purchased new from builder/property manager in 2002, leased back to them and was used ad property manager's MODEL unit from 2002 till ~2011.